Each week, the Global Poker Index releases a list of the top 300 tournament poker players in the world using a formula that takes into account a player's results over six half-year periods. The GPI also ranks the top performers of the year over two six-month periods as calculated by the USA Today Global Poker Index point system. For a look at both lists, visit the official GPI website. There was no change in the Top 10 in the 2014 GPI Player of the Year race over the last week, a calm before the storm as several major tours pause for the summer and the 2014 World Series of Poker gets underway. Keven Stammen is still the front runner with almost 900 points, with 2013 GPI POY Ole Schemion remains his nearest challenger at the moment. Looking a little further down the leaderboard, [Removed:17] moved up from No. 29 to No. 15 this week on the strength of a third-place finish in the High Roller event at Playground Poker Club. Matt Glantz also moved up 16 spots to No. 40 following a recent cash at the Parx Casino. Greg Merson and Jonathan Duhamel additionally made decent-sized moves this week to climb into the top 50 for 2014. Meanwhile Athanasios Polychronopoulos jumped from No. 187 to No. 55 after finishing runner-up in the WSOP National Championship to Dominik Nitsche. 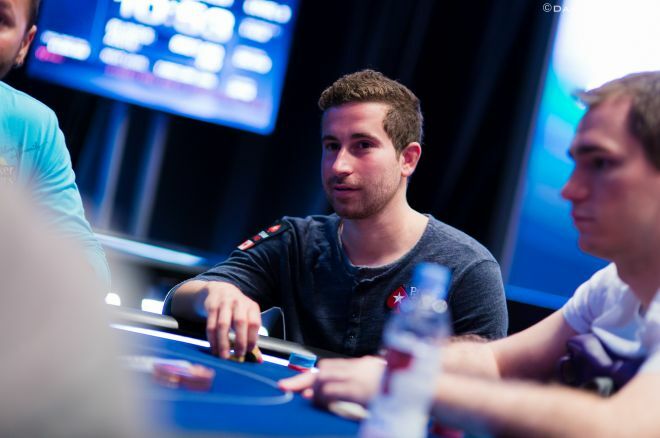 Jonathan Duhamel moved back in the top 10 of the GPI 300, moving up four spots to No. 7 after picking up points with a fourth-place showing in that Playground Poker Club High Roller event. Duhamel claimed the spot vacated by Marvin Rettenmaier who slid from No. 5 to No. 11 this week after crossing the two-year anniversary of his May 2012 victory in the WPT World Championship, thereby lessening that result’s worth to his points total. There were five newcomers this week joining the GPI Top 300. Matthew Ashton leaped from No. 306 to No. 159 after a third-place finish in the aforementioned WSOP National Championship. And Bryan Campanello jumped dramatically from No. 634 to No. 268 after taking 12th in the same event on the heels of winning the World Series of Poker Circuit Harrah's New Orleans Main Event. Eric Blair, Maurice Hawkins, and Samuel Chartier also move into the top 300 this week, with Chartier doing so after winning the High Roller at Playground Poker Club. As noted above, Campanello is the biggest mover of the week with Ashton and Chartier also having made significant moves up the GPI leaderboard. Among those dropping this week were David “Doc” Sands and Pascal Lefrancois, with Kyle Bowker’s slide from No. 170 to No. 223 the biggest fall of those remaining in the top 300. If you haven’t heard, Global Poker Index announced changes to the Fantasy Poker Manager for the 2014 WSOP, including weekly events. Like last year, there are all-events leagues and Main Event leagues, but FPM managers will now have opportunities to win every week. To view at the entire list of 300, visit the official GPI website. While you're at it, follow the GPI on Twitter and its Facebook page.